Working to preserve the history of the construction equipment that shaped our world . . . The Koehring rotary grader from the early 1920s is the indirect ancestor of today’s milling machines. Capable of loading 60 to 100 cu. yds. per hour, it could handle macadam pavement or dirt, and an optional screen could separate out aggregates from the macadam. The discharge conveyor could be set to either side of the cutting wheel, and cutting depth was two in. to two ft. It was steered by operating one crawler to pivot on the other. 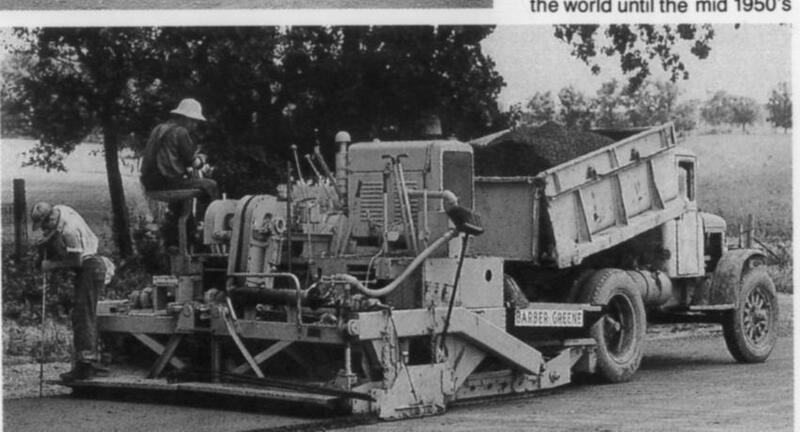 The Adnun paver with Galion three-wheel roller was a primitive asphalt paver that operated like an oversized spreader box. 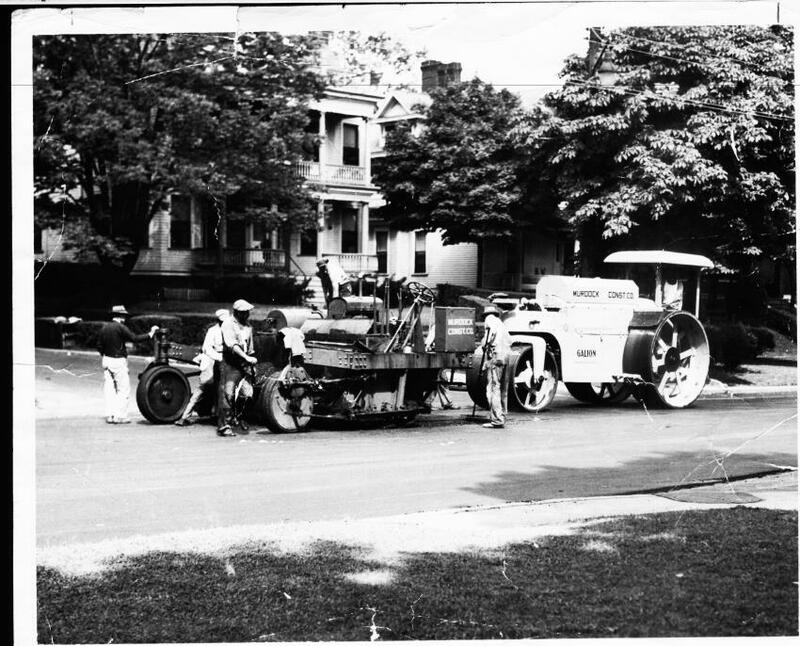 The Barber-Greene 879 paver was one of the first successful asphalt pavers to work independently of forms, and it established the basic design for all such machines into the present day. This is the second version, an 879-A. 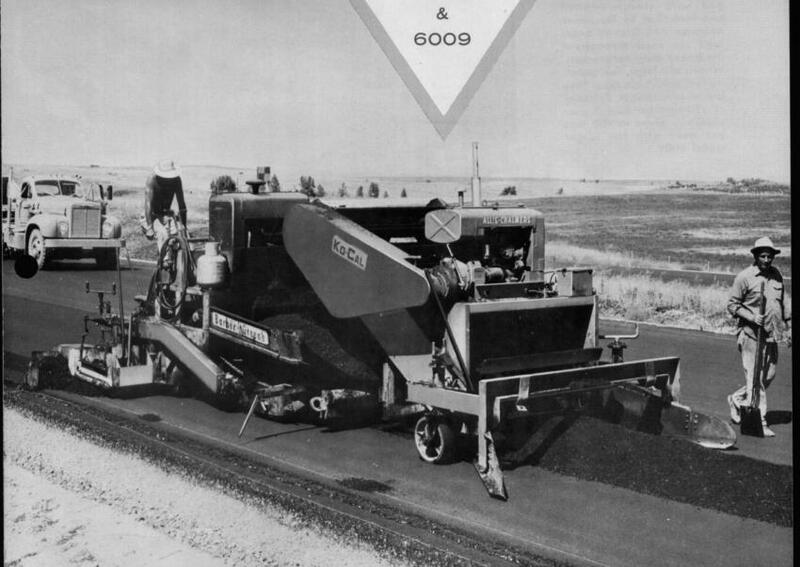 From the late 1940s into the 1960s, three-drum tandem rollers provided extra full-width compaction force in asphalt work. Working in material deposited by bottom dump trailers, a Ko-Cal windrow elevator charges a paver.